Across our people, processes, tools and systems, Metcash is investing to ensure that we continue to be Australia’s leading wholesaler. 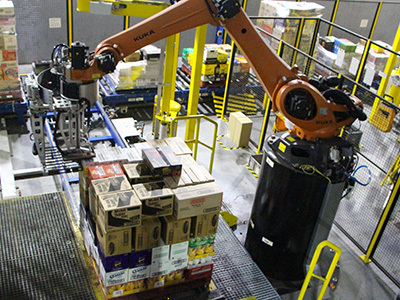 Key to our operational excellence is our investment in automation, with the introduction of new state-of-the-art material handling systems in a number of our distribution centres. These systems improve safety, support Independent Retailers by improving efficiency and optimise Metcash’s cost to serve equation. As part of Metcash’s drive to ensure our Distribution Centres (DCs) are as energy-efficient as possible, in 2017 we worked with a local accredited provider in Victoria to upgrade over 2,000 lights across four distribution warehouses and offices. 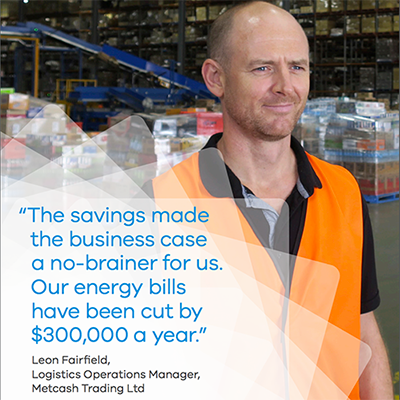 Through Victorian Energy Upgrades, Metcash halved the cost of purchasing energy-efficient lighting. Due to the reduced energy consumption, the LED upgrade will save Metcash an enormous 2,901,800 kWh per annum – equivalent to over $300,000.